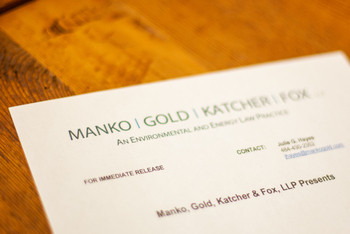 Manko, Gold, Katcher & Fox partner John F. Gullace will serve as the Chair of the American Bar Association Section of Environment, Energy and Resources’ Superfund and Natural Resource Damages Litigation Committee. He was recently appointed to this one-year term after serving as a Committee Vice Chair since 2014. In his role as Chair, he will oversee the Committee’s programs, newsletter, electronic communications, membership, Year-in-Review, regional updates and approximately 30 Vice Chairs.